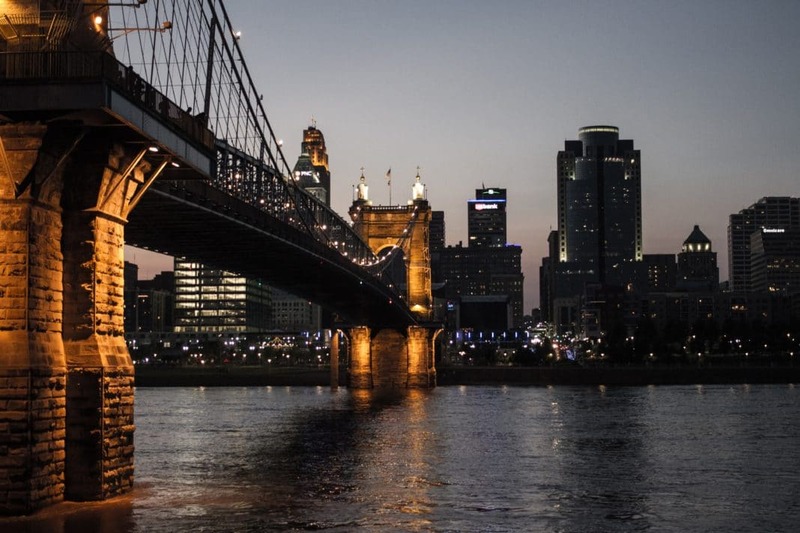 "The Queen of the West," as locals call their beloved hometown, is known for baseball, chili, the classic sitcom WKRP in Cincinnati, and surprisingly – it's food. Prepare for a trip to this great Midwest city by learning about the best restaurants in Cincinnati. Have you ever heard of a little place called Graeter's? How about Skyline, Sugar N'Spice, or Tom + Chee? If your answer if "no" then you've truly been missing out. 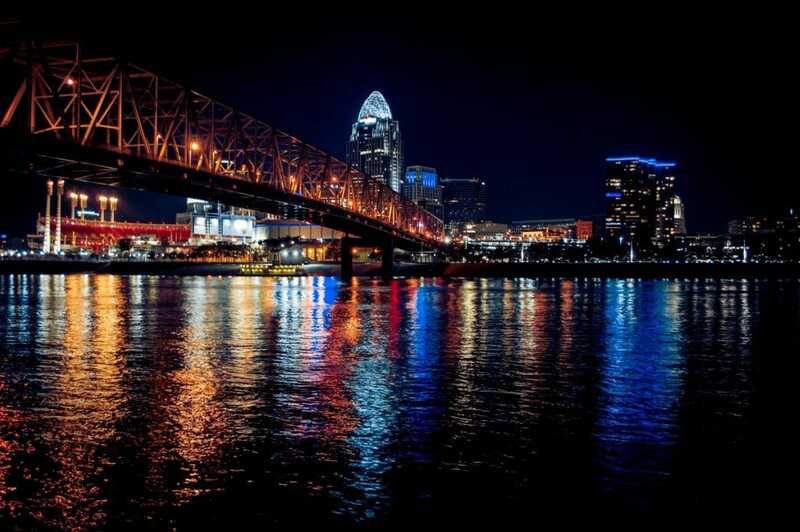 Not only is Cincinnati, Ohio “the most beautiful of the inland cities," as Winston Churchill once said, it's also becoming one of the next-best food towns! Still don't believe us? We'll fix that. Read on and discover the five best restaurants in Cincinnati that will convince you to book a trip there ASAP. You can go ahead and plan on skipping breakfast, lunch, and dinner entirely and spend your first day in Ohio at one of the best restaurants in Cincinnati: the great Graeter's. Founded more than 145 years ago by Louis Graeter, this restaurant has been serving top notch ice cream to Cincinnati residents from the roaring '20s through the Great Depression into the World War II era and into the new generation. Ingredients are mixed from fresh and local Cincinnati dairies with fruit being selected from the best farms in the Pacific northwest. Now managed by Bob, Chip and Richard – fourth generation Graeters – the ice cream parlor is still fondly recognized for its fine hand-crafted treats. Graeter's found wide-spread recognition with The French Pot Process. According to Graeter's, the French Pot Process calls for all ingredients to be pasteurized, cooked, and combined in a flavor vat. The rich mixture is then "frozen in 2½ gallon batches in a historic process that has been a part of Graeter’s ice cream for over a century." In staying true to the original process that made Graeter's so famous in the first place, their ice cream is mixed and served one batch at a time to honor the same process Louis started making ice cream with centuries ago. To top it all ice, the ice cream is hand-packed into individual pint containers. According to the Graeter's family, nearly 20,000 pints are packed daily – with the fastest packers averaging up to 15 pints a minute! It's this old-fashioned and humble process that adds to the long list of reasons why Graeter's has remained one of the best restaurants in Cincinnati, Ohio. 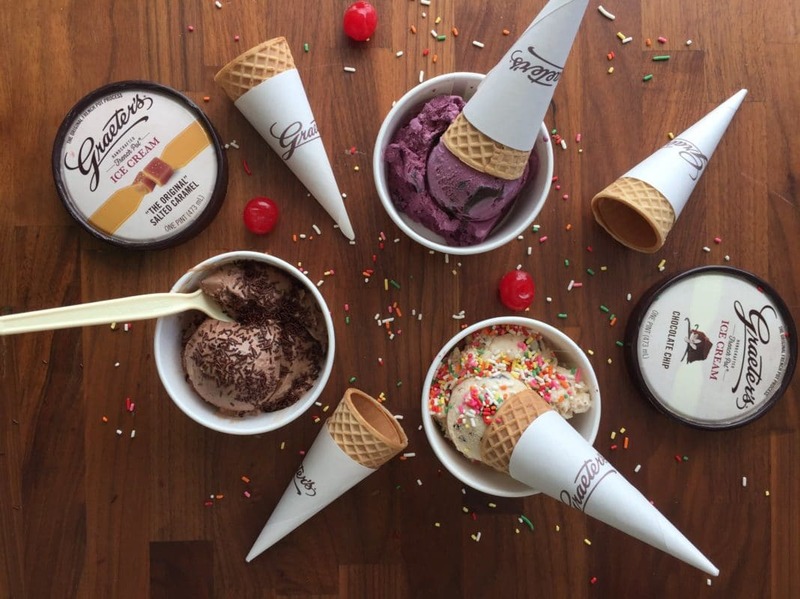 Fan-favorite flavors include Blackberry Chocolate Chip, Buckeye Chocolate Chip, Mocha Chocolate Chip, Peanut Butter Chocolate Chip, Toffee Chocolate Chip... Can you tell those Graeter's love their chocolate? To optimize your Graeter's experience, we highly recommend getting your scoop in their world-famous pretzel cone. If you happen to be one of those poor unfortunate souls with dietary restrictions, you can still enjoy a Graeter's treat! They serve raspberry and lemon sorbet year round. They even serve a pumpkin flavor for all the fall fanatics out there. Do you love cheese? How about melted cheese? Do you love when that melted cheese is placed perfectly between two crisply toasted slices of bread? Has your mouth started to water yet? Probably, but that's an easy fix. Simply head on over to Tom + Chee, one of the best restaurants in Cincinnati and your new favorite lunch spot. Coined as being a "grilled cheese and tomato soup shop for the kid at heart," Tom + Chee mixes classic comfort foods with fresh ingredients while keeping in mind the need for healthy alternatives – all while adding a fun, funky flair to the traditional grilled cheese platter! That's just part of the reason why Tom + Chee makes for one of the best restaurants in Cincinnati. 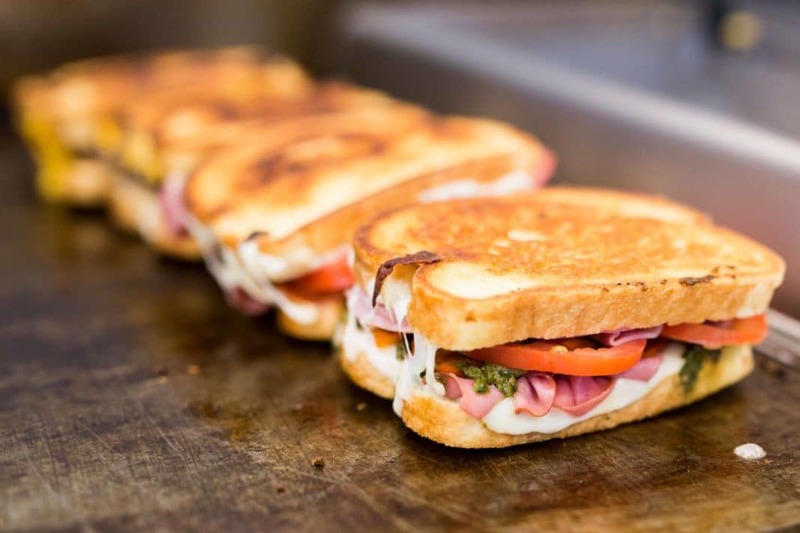 You're probably still wondering, how can someone really spruce up a grilled cheese sandwich to turn themselves into one of the best restaurants in Cincinnati? That can be answered with one of Tom+ Chee's best kept secrets: their in-house roasted meats and homemade sauces and dressings. That... and some insane creativity. Their "simplest" menu option is the Grilled Mac+Chee, served with a blend of cheddar, mozzarella, and white cheese combined with their homemade mac n'cheese and applewood smoked bacon. Some other menu options that the locals love include the Flying Pig (smoked gouda, applewood smoked bacon, oven roasted turkey, dill pickle, and mustard,) the Chicken Bacon Ranch (mild cheddar, wheat berry, bacon, chicken, tomato, and ranch,) and the West of Philly (mozzarella, white cheese, slow roasted beef, sautéed mushrooms, onions, pepper, and garlic aioli) to name a few. The restaurant is also flexible to food allergies and offers gluten-free options. It's these thoughtful details that makes Tom + Chee one of the best restaurants in Cincinnati. If somehow none of those menu options sounded appealing to you, do us a favor and at least try out the famous Grilled Cheese Donut. Need we say more? After a long day at Coney Island, cruising along the Ohio River, or taking in history at the National Underground Railroad Freedom Center or one of the other incredible attractions Cincinnati has to offer, Tom + Chee is a great place to relax and fill up on comfort food at one of the best restaurants in Cincinnati before tucking yourself in for the night. We've already given you two delicious options to add to your finely curated list of the best restaurants in Cincinnati... But get yourself ready for just a few more. Postmark is an American food fine-dining restaurant that has found an impressive, unique intersection between its "farmhouse refined" qualities and "slow food" style. 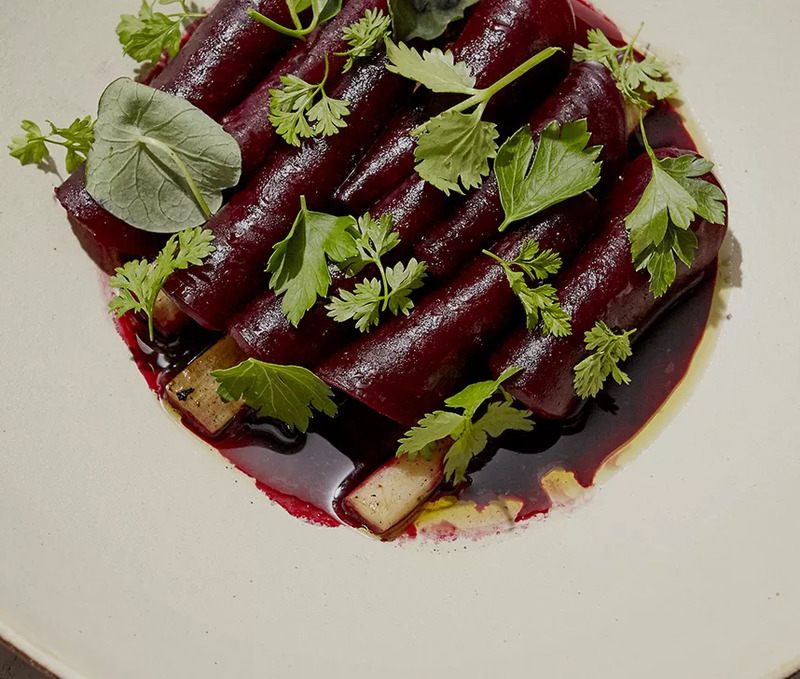 To ensure the menu will include nothing but the best, Postmark works directly with their merchants, farmers, and importers to bring in only the best ingredients. Priding themselves for have "great food and drink" that is "honestly prepared and served," Postmark is one of the best restaurants in Cincinnati partially due to its integrity and commitment to serving its patrons nothing but the best. We suggest starting your meal with the Fried Green Tomatoes, Butternut Squash Soup, or Goat Cheese Brulee. Once you've taken the hunger-edge off, it's time to select your second course. Fan favorites include the Pumpkin Risotto and the Sweet Corn Agnolotti, but you really can't go wrong with any option that you choose. However, you may have a harder time choosing your third course, as this will hands down be you're favorite one. Maybe you'll opt for the Diver Scallops served with whipped pumpkin, red wine cherries, frisee, and chile gastrique, chicken skin gremolata. Or perhaps you'd prefer the Osso Bucco with butternut whipped potato, roasted apple, and fennel. If neither of those options suit your fancy, the Hill Family Chicken with romesco, new potato, piquillo, arugula, marconas, and salsa verde is always a delicious and reliable option. Are you starting to understand why we named this one of the best restaurants in Cincinnati? Another beloved trait of Postmark is its wine room that curates more than 2,000 bottles of wine, which only enhances its classy, warm ambience. You'll see what we mean once you go and take in Postmark's finely thrifted style. The vibe is cozy and comfortable and the space is filled with rustic, rugged, and repurposed furniture that helps set the tone for your evening of fine food and fine dining at one of the best restaurants in Cincinnati, Ohio. 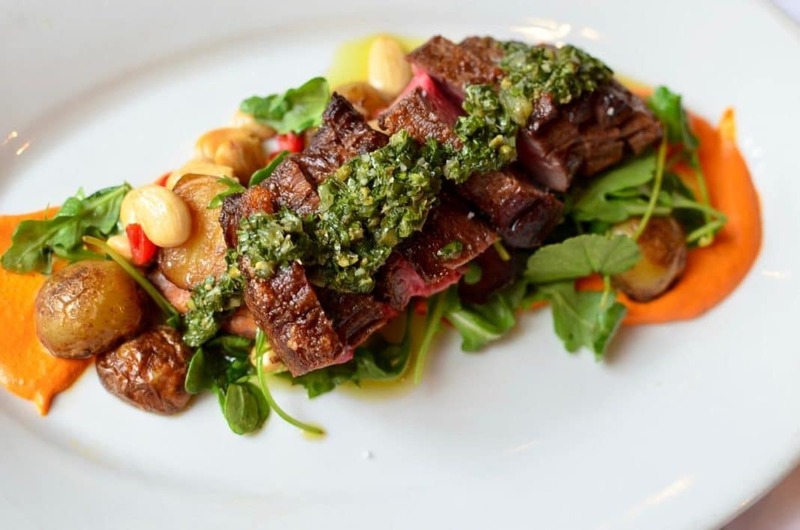 Be advised that a dinner at Postmark may be one of your pricier meals during your stay in Cincinnati, but the delicious food, good service, and fine wine will hopefully make up for that. 4. More delicious food, Please! We love everything about this place. The decor, the flavor, the plating, the staff, the warm fuzzy feeling we get inside after eating a meal here – everything. Why else would we have named it one of the best restaurants in Cincinnati? If you're looking for a robust, creative, inventive take on dinner out, Please is the place to be. The restaurant runs on an open concept kitchen that is in full view of the guests as the cooks prepare their meals. This open floor plan only enhances the intimate, cozy, approachable, and low-key vibe that Please gives off. These qualities are just some of the reasons why Please is one of the most creative and one of the best restaurants in Cincinnati. The a la carte menu features delicacies including West Coast Oysters, Beef Tartare, Carrot Rigatoni, Kentucky Pork Meatballs, and a true classic; Cheesecake. If you choose to opt for the $62 Tasting Menu during your visit to one of the best restaurants in Cincinnati, you'll find yourself struggling to choose between steak with kohlrabi, corn, marjoram, and taleggio, apple aebleskivers with maple and gjetost cheese, and for dessert: caramelized white chocolate and speculoos “tart” with nectarine & almonds. Please pairs together tastes that you never knew complemented each other so perfectly. No matter which menu you choose to order from, you'll find that the options from both menus are artistic and delicious. And while a dinner at Please may seem a tad expensive, for the quality of the experience that is a meal at Please, the price is right. To top it all off, Please is always serving a cutting edge selection of wine, beer, and cocktails – yet another reason why we consider it one of the best restaurants in Cincinnati! If you want a memorable meal that you will be thinking about for weeks afterwards, this Please is the place for you. 5. Cap off your trip with Camp Washington Chili! You knew we couldn't make a post about the best restaurants in Cincinnati and not include at least one chili joint. Camp Washington Chili Parlor is one of the best example of Cincinnati chili parlor culture you'll find. This place doesn't just serve your basic three-ways and cheese coneys (though you gotta admit, those sound pretty delicious!) Camp Washington is known for taking its chili to the next level, Founded in 1940, Camp Washington Chili was named after the historic neighborhood where it is still located today. One of the reasons they've been around so long might have to do with the fact that they're open 24-hours a day, six days a week. Next time you find yourself craving chili at 3 a.m. you know where to go! Camp Washington Chili's menu offers classic diner-styled comfort foods like tuna melts, grilled cheese, and of course, a chili melt. Sure, you can opt to be "healthy" when you visit Camp Washington Chili and get BLT or greek salad... But if you're going to make a trip to one of the best restaurants in Cincinnati, you may as well go all in and get an order of Chili Spaghetti. Make it a "five-way" and add onions, beans, and cheese to that. 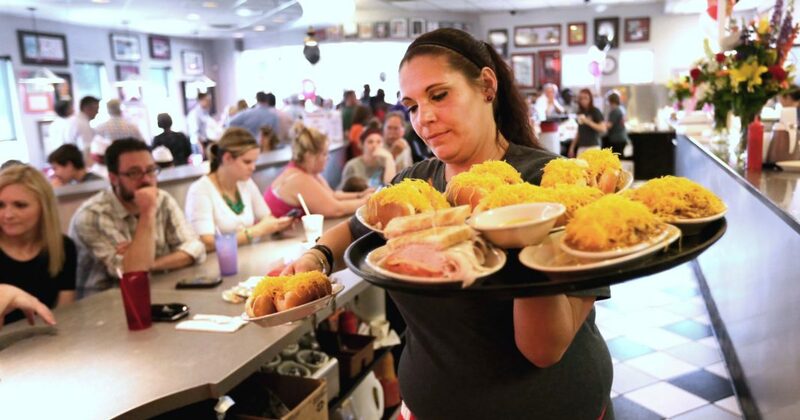 While you're at it, go ahead and get yourself an authentic Cincinnati coney... Or a chili sandwich... Or a chili cheese sandwich... Actually, order it all, including a double-decker sandwich, which just so happens to be another Cincinnati staple. Camp Washington Chili has quick and efficient service and a price you can't beat. There is also a convenient drive thru window so you can order anything your little heart desires from the comfort of your own car at any hour of the day. Do you believe us yet that this is one of the best restaurants in Cincinnait, Ohio? Long story short: Camp Washington Chili is a top choice if you're looking to get your Cincinnati chili fix. Even if you're not a chili person, you have so many other options available for you to go home and tell your friends about. Cincinnati is the foodie heaven of your dreams. As you can now see, Cincinnati, Ohio is a Midwest city that you truly cannot pass up. It offers the perfect balance of quaint small town existence and city life. And if you're a foodie, beer enthusiast, or simply someone who likes trying new things, you'll quickly find how easy is is to find a restaurant serving up something you've never eaten before! These are just a small handful of the best restaurants in Cincinnati, but there are still so many more for you to go out and try. From chili to grilled cheese and everything in between, Cincinnati is sure to offer you dining experiences you will never forget! So what are you waiting for?! We've just cued you in on some of the best restaurants in Cincinnati – now it's your turn to find places to add to our list!